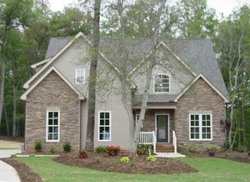 ​Spartanburg's High Performance Builder, takes pride in their work. South Chase has specialized subcontractors to ensure quality control for every facet of your Home project. The South Chase owner, Doug Henjes, personally oversees each detail from beginning to end with a hands on approach. Often times, he is present and working alongside the team to be sure the job is done right. South Chase puts their clients first, acts in a professional manner and shows up for the job.